Lisa S. Yun is an associate in Sheppard, Mullin, Richter & Hampton’s business trial practice group. 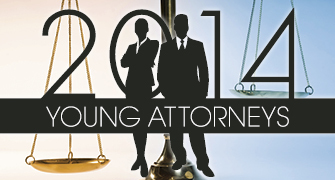 Yun practices in the area of general business litigation and bankruptcy law. She has experience representing financial institutions in civil and bankruptcy proceedings. She acted as lead associate in managing the defense of several class actions alleging violations of the Telephone Consumer Protection Act. Yun is also a member of Sheppard Mullin’s firmwide diversity and inclusion attorney network; a board member of the Korean American Bar Association; and a member of the William L. Todd, Jr. American Inns of Court, Louis M. Welsh American Inns of Court, San Diego County Bar Association, Association of Business Trial Lawyers, and Lawyers Club. Prior to joining Sheppard Mullin, Yun served as a judicial extern for the Hon. Stephen V. Wilson of the United States District Court for the Central District of California and later as a judicial law clerk for Chief Justice Michael Kruse of the High Court of American Samoa, where she prepared opinions and orders and participated on the Trial Court Rules of Civil Procedure Revisions Committee. Yun has co-authored legal articles discussing developments in the law affecting mortgage-related lawsuits and arbitration clauses in consumer financial contracts. She has also published a note in the Southern California Interdisciplinary Law Journal regarding the international stance against juvenile life without parole sentences. Yun earned her J.D. from the University of Southern California Gould School of Law in 2011, where she was the senior content editor of the Southern California Interdisciplinary Law Journal and recipient of the USC Scholarship. While in law school, Yun was the alumni co-chairwoman of the Asian Pacific American Law Students Association, a member of the 3L Gift Committee and a mentor in the J.D./LLM Partnership Program. Yun was also involved in providing pro bono legal services to survivors of domestic abuse while working in the USC Post-Conviction Justice Clinic. She continues to volunteer a substantial amount of her time to various pro bono matters at Sheppard Mullin.